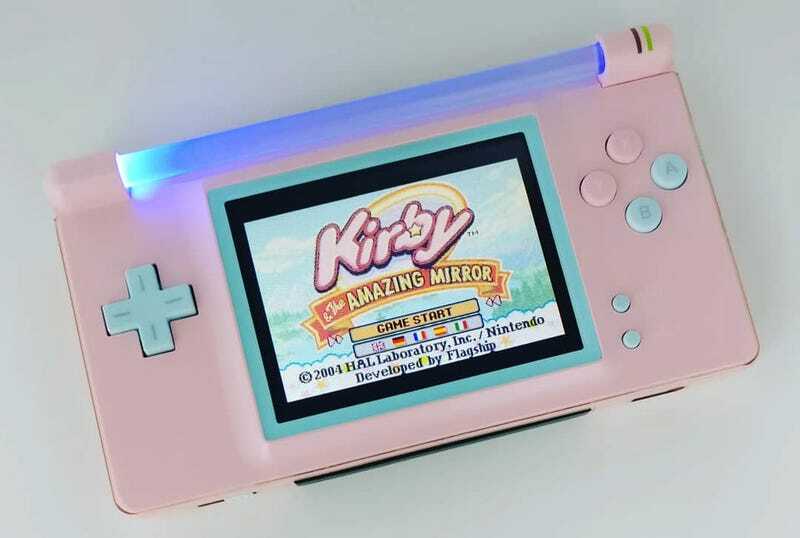 The hinges on old Nintendo DS handhelds were notoriously weak and would often give way, but where most would bee a broken console, modder Joe Bleeps sees an opportunity to salvage the hardware and create something new: the Neon Advance. Because the bottom half of the unit is still intact, and because the older DS handhelds could play old Game Boy games, the Neon is still perfectly capable of playing GBA classics. And while the top half of a DS housed the speakers, Joe has repurposed the stylus slot under the bottom half and dropped a mono speaker in there. As for what becomes of the broken hinge, the handhelds take their name from a small light placed along the top of the unit inside the now-empty top screen housing, which is bright enough to look cool without being so bright that it distracts. You can see more of Joe’s work at his Instagram, Twitter, Bandcamp and YouTube pages.